There was a time, before social media, where “friends” were people you knew well and spent serious time with. They were people you laughed and cried with, and relied on for everything from an honest opinion to a ride to the hospital. We still all need friends like that, and we still want to BE friends like that, yet a lot of us are having trouble pulling it off. Here’s how we can get back to being the kinds of real-life friends we all want and need, and why it matters so much that we do. 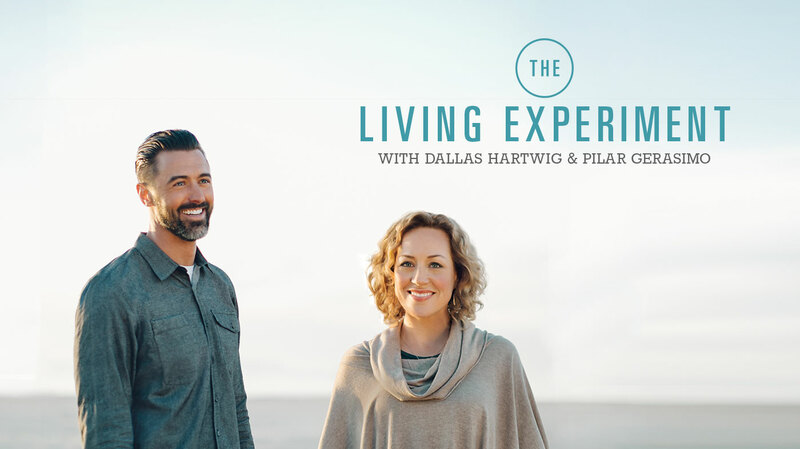 This week on The Living Experiment, we’re talking about Friends — not the kind we call “friends” social media, but the real, meaningful, human kind we connect with in person. The kind we care about deeply. The kind we count on for hugs, empathy, perspective, emotional support and fun. In a world where many of us feel painfully pressed for time, we’re barely connecting with our romantic partners and close family members, much less making time to forge and maintain meaningful connections beyond the walls of our own homes. So here, we talk about the difference between various levels of friendship intimacy, and how relationships are deepened by time, proximity, shared experiences, vulnerability, and trust. We explore the essential role friendships play in defining our lives, and how to go about evaluating and evolving the friendships in your life now. Finally, we offer you some experiments to help you give your own friendships a little more of the energy and attention they deserve. Pilar describes how she and a friend used a “Genius Pact” to connect around shared interests and goals. 1) Bring someone who is at the periphery of your circle a little bit closer. Within your current social milieu, reflect on whether there is a person who seems interesting to you, but with whom you don’t yet share a close friendship. Invite that person to join you for an activity or get-together of some sort. It could be as simple as meeting for coffee. 2) Within the context of an existing friendship, be the initiator of next-step closeness. Share something meaningful with them; ask a question that reflects an authentic interest in knowing them better; discuss a book that provoked rich emotion for you; reveal something about yourself they don’t yet know. Make a dot in the middle of a piece of paper and draw two or three concentric circles around it. With the central dot representing you, write the names of your friends in the surrounding circles, locating them relative to their current level of closeness. Then, ask yourself why their placement is what it is. Look at the people in the second or third circle and reflect on why they’re there — if it’s based on trust, affection, history, or other variables. Reflect on if you’d like to bring them closer, and why or why not. Reflect on your current level of satisfaction with your friendships, and what you desire from them.